The Congress president says November 8 will go down in history ‘as a day of infamy’. 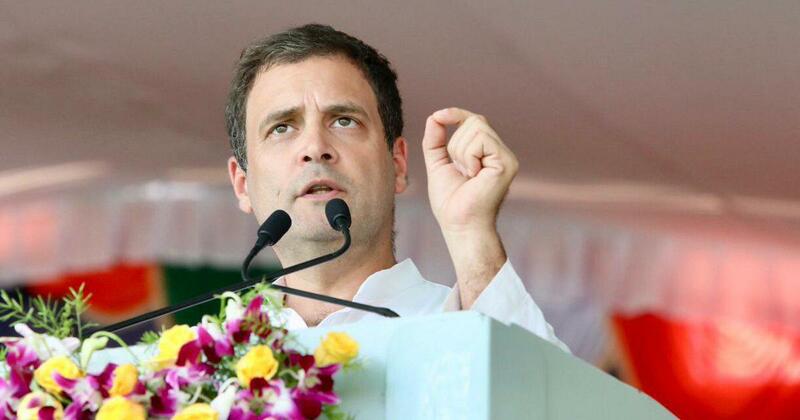 Congress President Rahul Gandhi on Thursday alleged that demonetisation was a “shrewd scheme” to convert the black money of Prime Minister Narendra Modi’s “suit-booted friends” into legal wealth, PTI reported. 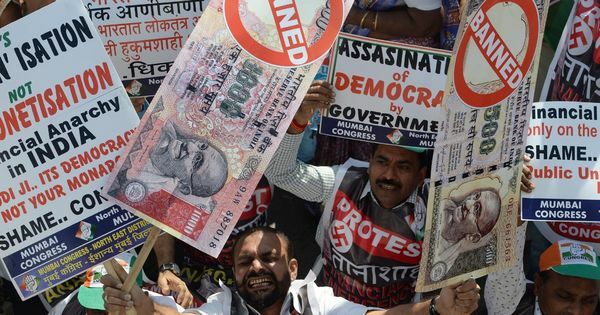 Thursday marked the second anniversary of the National Democratic Alliance government’s decision to demonetise Rs 500 and Rs 1,000 currency notes. He said November 8 would go down in the history of India “as a day of infamy” and the day when Modi “unleashed the tyranny of demonetisation” on the country. Demonetisation was “a carefully planned, criminal financial scam” and not just “an ill-conceived and poorly executed economic policy with innocent intent”, the Congress president added. He said economists have concluded that demonetisation was an “unmitigated disaster that did not meet a single of its stated objectives”. “All that was accomplished was a disaster,” he said, adding that the exercise wiped out at least 1% of India’s Gross Domestic Product. Gandhi said on the second anniversary of the prime minister’s “monumental blunder, the government’s spin-doctors, including our incompetent finance minister, have the unenviable task of defending an indefensible, criminal policy”. More than 120 people died standing in queues to exchange demonetised notes, he pointed out. Earlier in the day, Union Minister of Finance Arun Jaitley defended demonetisation, saying it was “one of the key steps in a chain of important decisions” taken by the government to formalise the economy. Former Prime Minister and Congress leader Manmohan Singh said November 8 was a day to remember how “economic misadventures can roil the nation for a long time”.